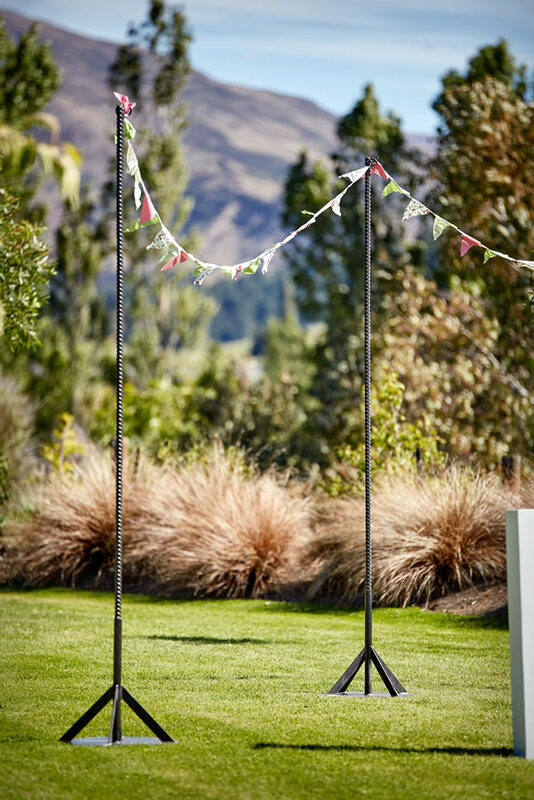 Festoon Poles are 2.6 and 3 meters high they come with hooks on the ends to help string festoon lights, festoon poles are designed for outside use but can be used in doors,Festoon poles come with holes in the bases for the pegs to secure the base to the ground. Festoon poles are ideal for any situation where height is required and are perfect for hanging festoon lighting, fairy lights, flowers and buntings. We have 8 festoon poles for hire they are 2.6 meters high.